. كما يقدم Capricornia Apartments الكثير من الخدمات لإغناء رحلتك في المدينة. يقدم العقار واي فاي مجاني في جميع الغرف, تسجيل وصول/خروج سريع, تخزين الأمتعة, واي فاي في المناطق العامة, صف السيارات لضمان الراحة القصوى لضيوفه. يمكن للنزلاء الاختيار من ضمن مجموعة من الغرف المصممة بعناية لتعكس جواً من الراحة، والتي يتجاوز عددها 30. يمكنك طلب اللائحة الكاملة للخدمات في الفندق ومن بينها حوض استحمام ساخن, ساونا, مسار جولف - ضمن 3 كم, حمام سباحة خارجي, سبا. اكتشف مزيجاً ساحراً من الخدمة الاحترافية والخيارات الواسعة من وسائل الراحة والمتعة في Capricornia Apartments. يكون مكتب الاستقبال مفتوحًا من الساعة 8:30 صباحًا حتى الساعة 5:00 مساءً في أيام الأسبوع العادية، ومن الساعة 9 صباحًا حتى 12:00 ظهرًا أيام السبت، ومن الساعة 9:30 صباحًا حتى الساعة 11:00 صباحًا أيام الأحد والعطلات الرسمية. يجب على النزلاء الذين سيصلون خارج الساعات المذكورة التواصل مع العقار مُسبقًا. The apartment wasn't very clean but after we cleaned it was nice. Capricornia apartments are more spacious than most with a lovely outlook. The gardens, pool and tennis court are well maintained. No need for a car here - everything is within walking distance or only a short tram ride away. The Managers, Bruce and Sue, are friendly and helpful. Location. Clost to beach and shops / restaurants. A good swimming pool and spa. Friendly staff. The apartments are getting a bit tired, but it was very good value for money. 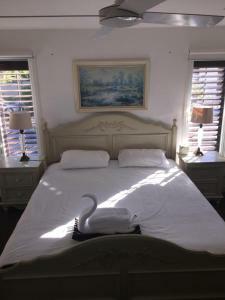 Great holiday close to the beach in very reasonably priced apartments. Apartments are large, clean and family oriented. the location of the apartments was great and the size of the apartments was also great however unfortunately the rooms were dirty and smelly due to the old furniture and carpet in the majority of the apartments.Also there was alot of dust around the edges of windows. it is recommended that there should be new carpet and furniture placed in the apartments and greater effort in cleaning to make better the hygiene of the apartments. The whole family including two seniors had a nice and relaxing 1 week stay at Capricornia Apartments. The apartment had all the facilities that we needed and the service was great. We would recommend these apartments due to its location close to the beach and shops as well as recreational facilities. 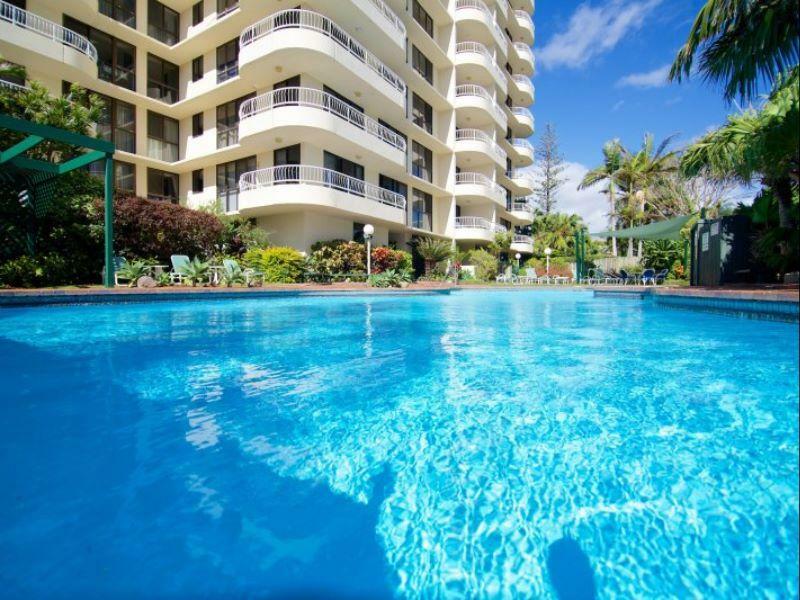 Good base for stay in Broadbeach with young family. Walk to shopping/eating precinct and beach. Pool excellent for the last swim of the day. Apartment block not new and flashy but functional and convenient. 일단 전망이 훌륭하고 ... 아파트 내에 식기류가 전부 구비되어 있어 콘도 형식으로 식사를 해먹을수 있어서 좋아요 .